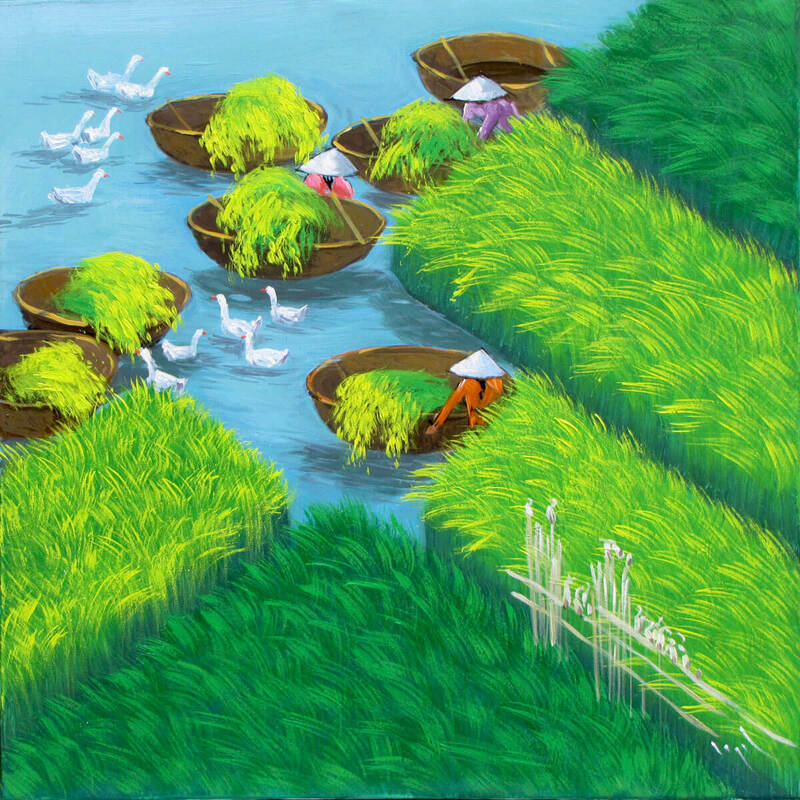 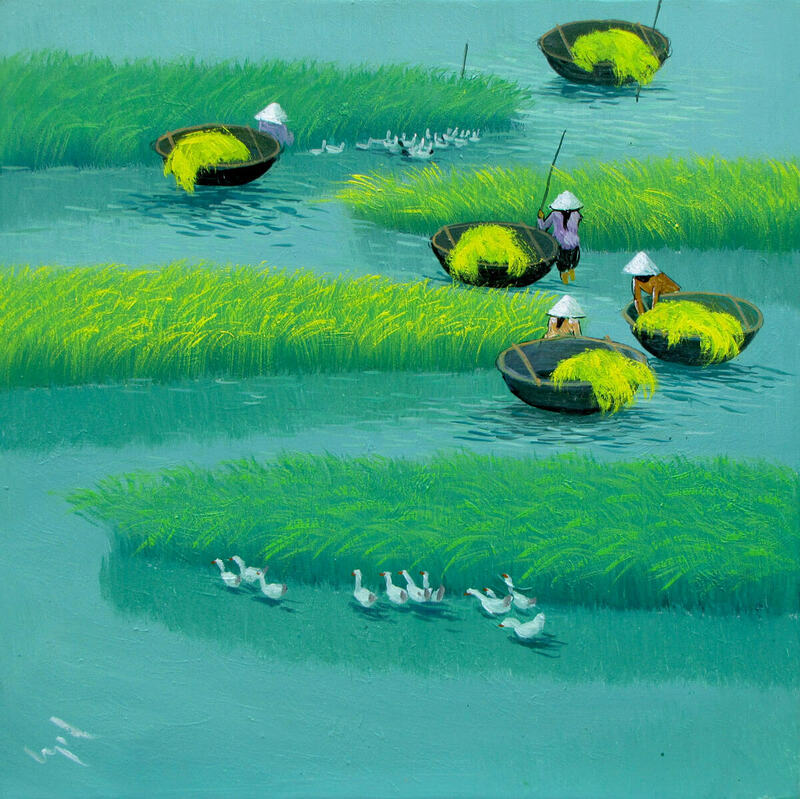 To Ngoc was born and grew up with Land and Water. 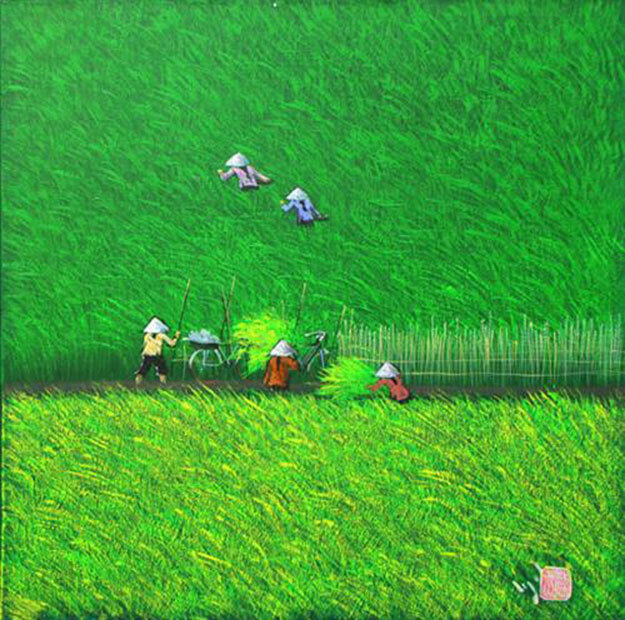 He was not born to become an artist, but the northern folk songs lulled and cultivated him to be an artist of nature since he was a child. 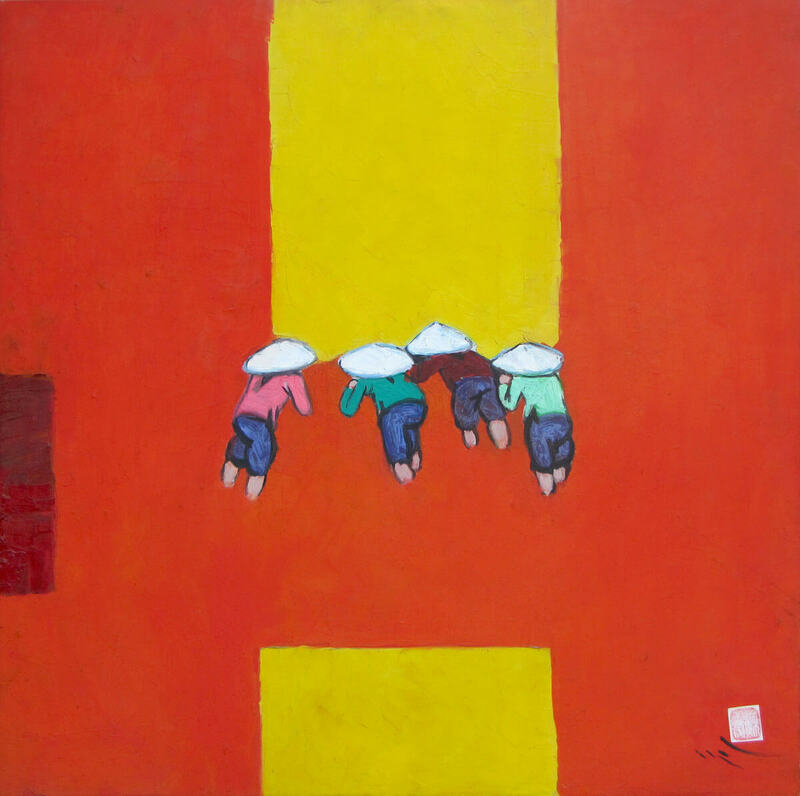 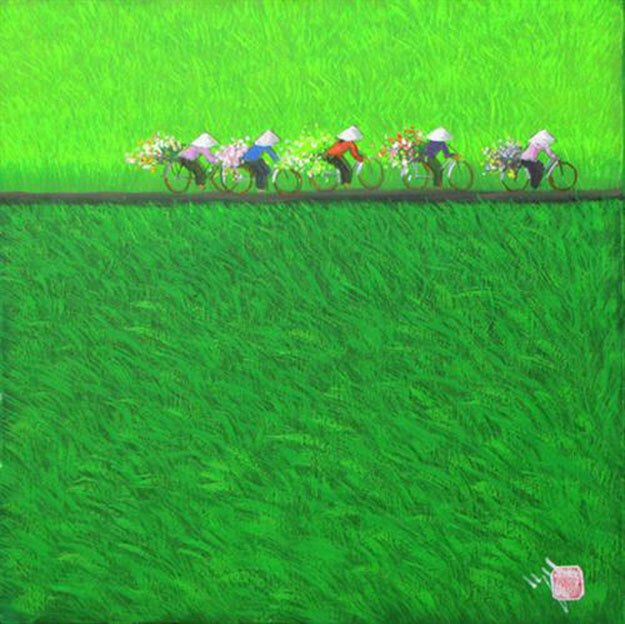 To Ngoc is naive when facing daily urban life and trying to find his own self. 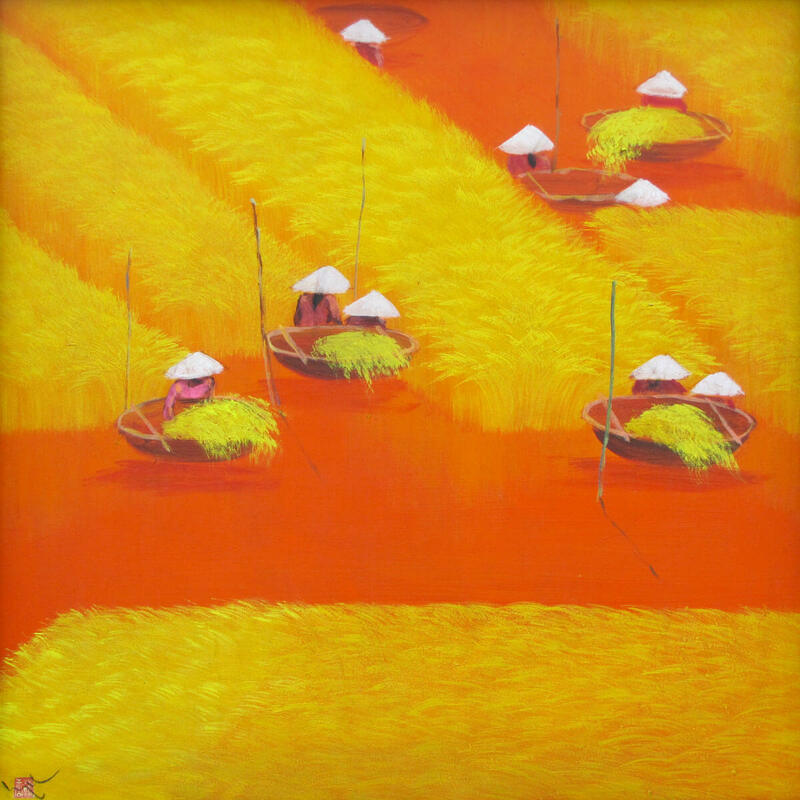 Then he paints crazily all day and all night. 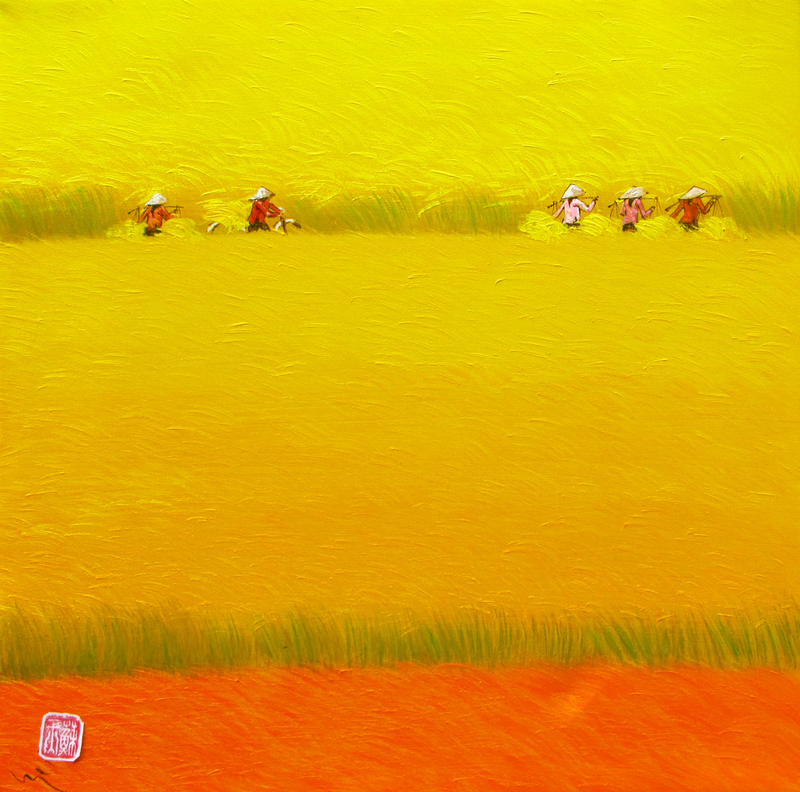 The fields wavering in the light from oil lamps and the ordinary peasants have appeared regularly in his works. 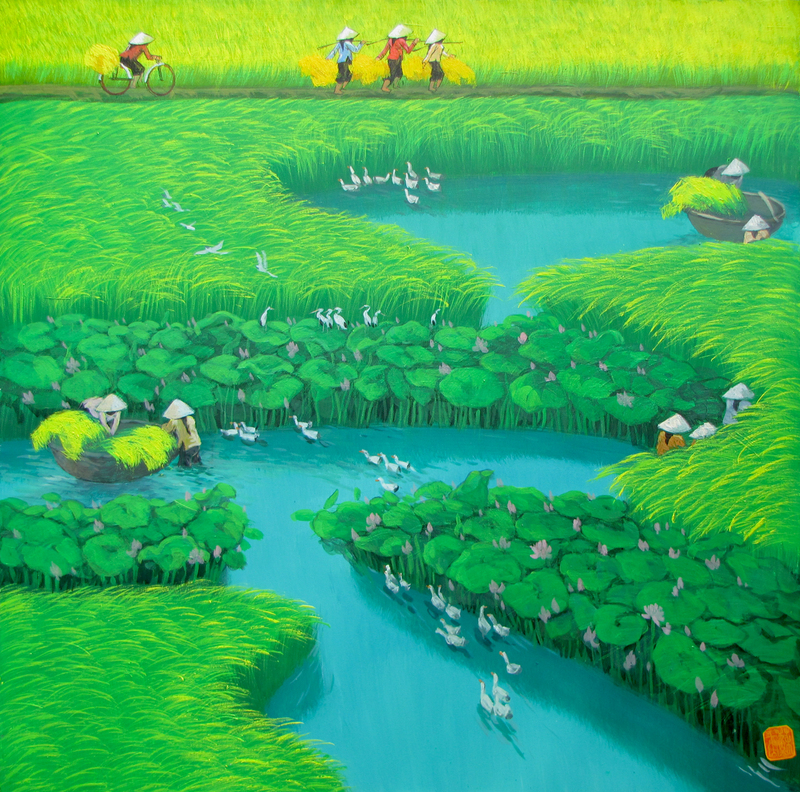 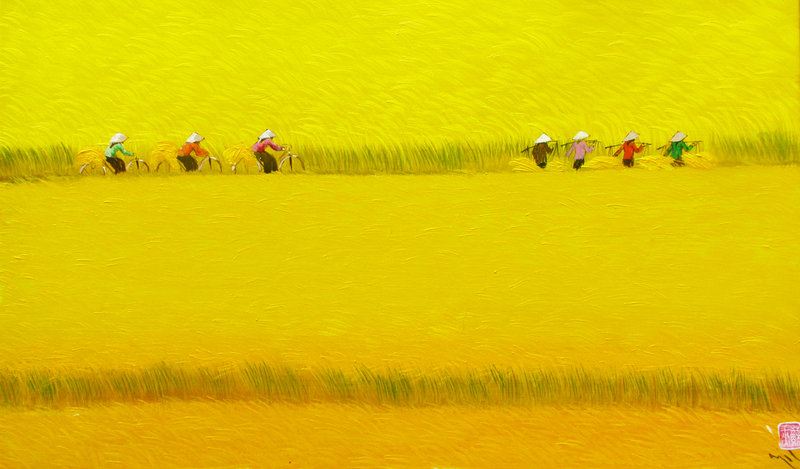 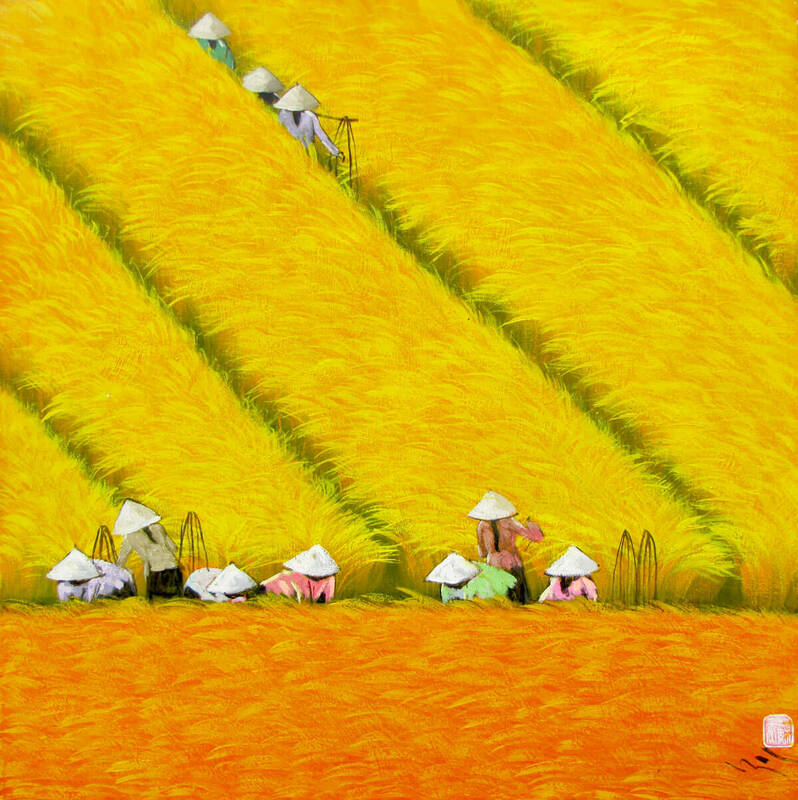 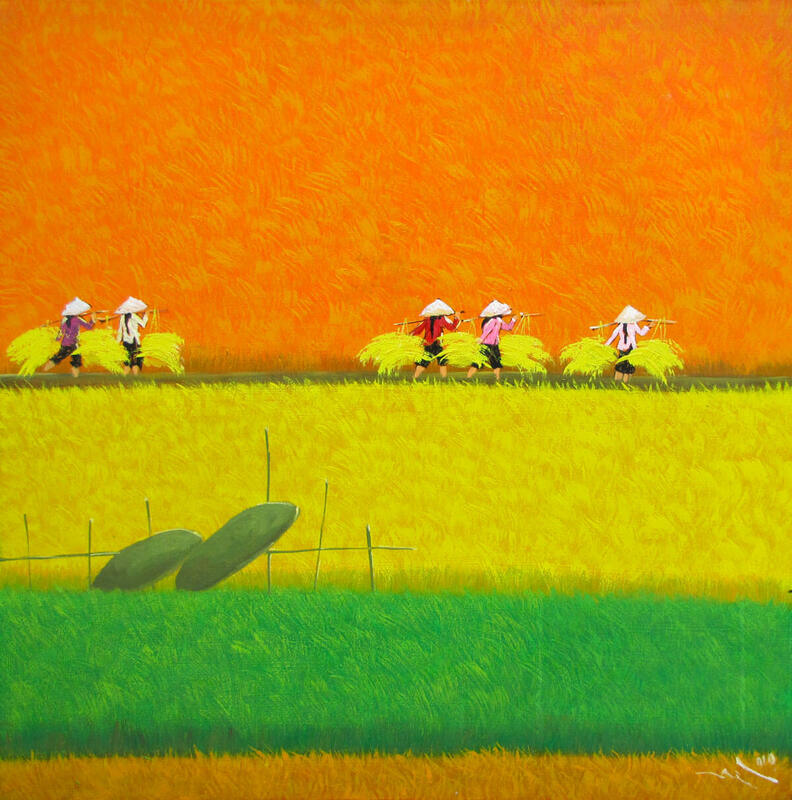 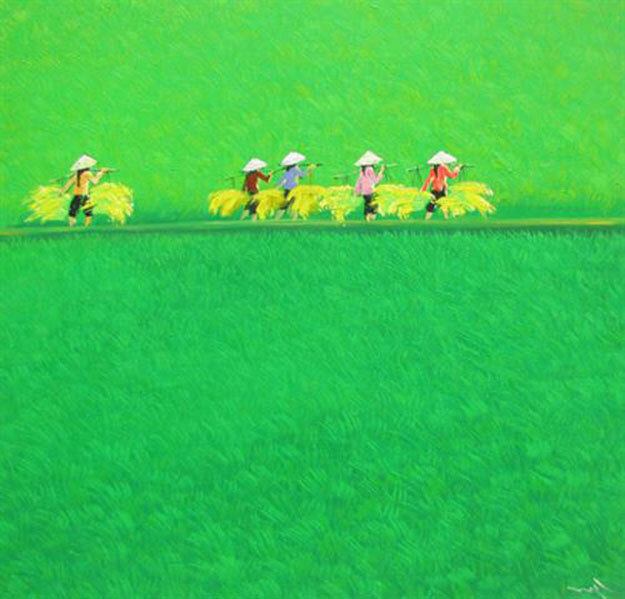 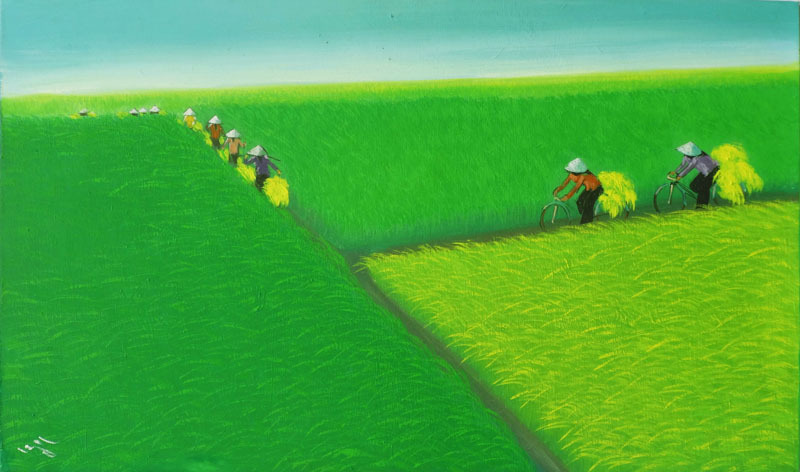 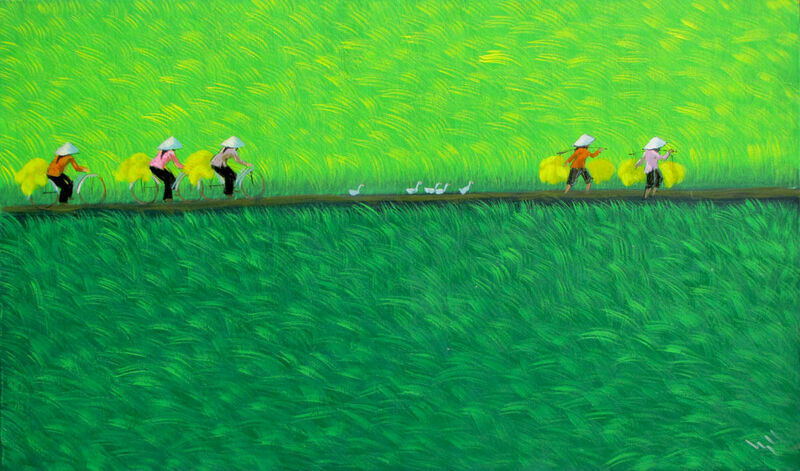 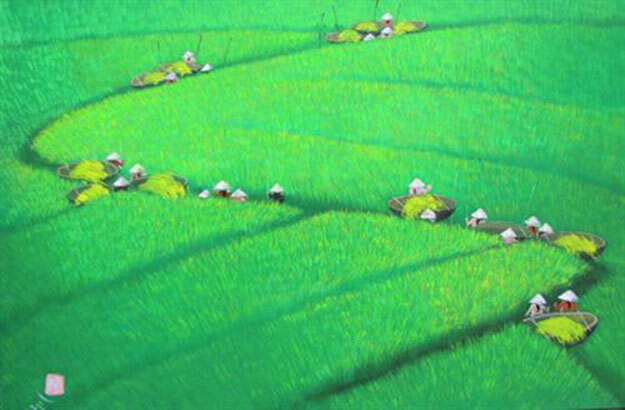 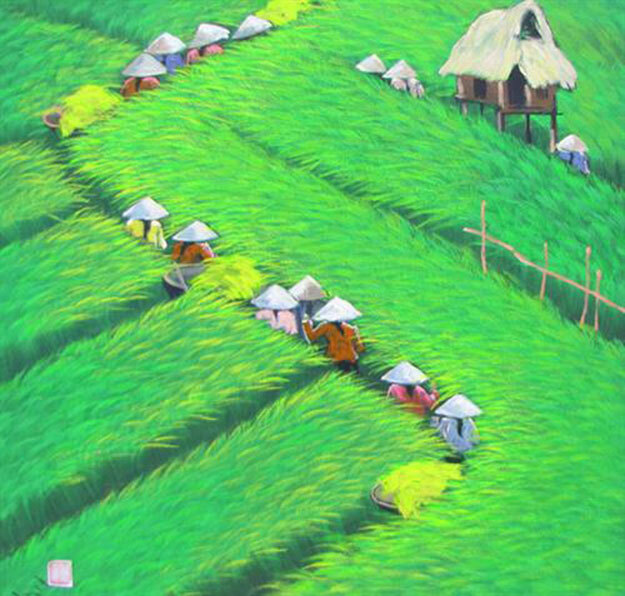 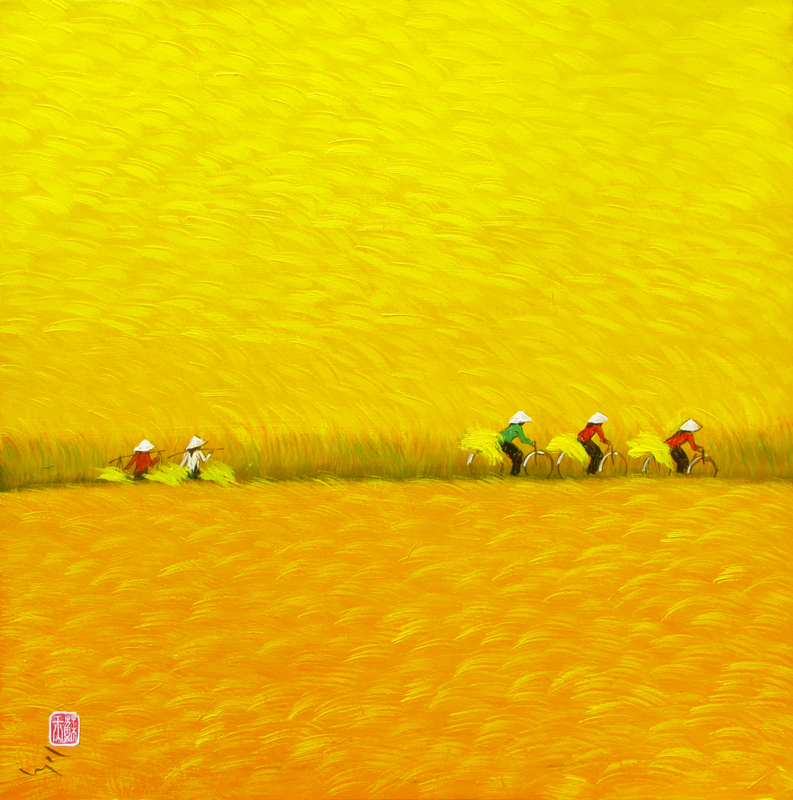 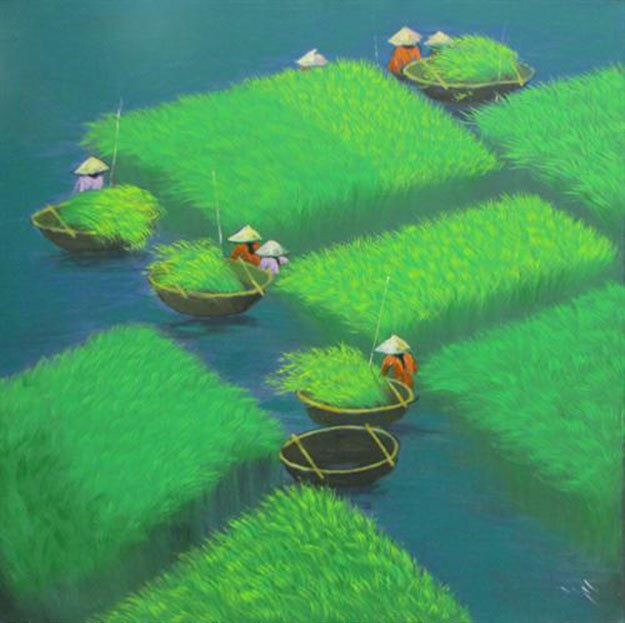 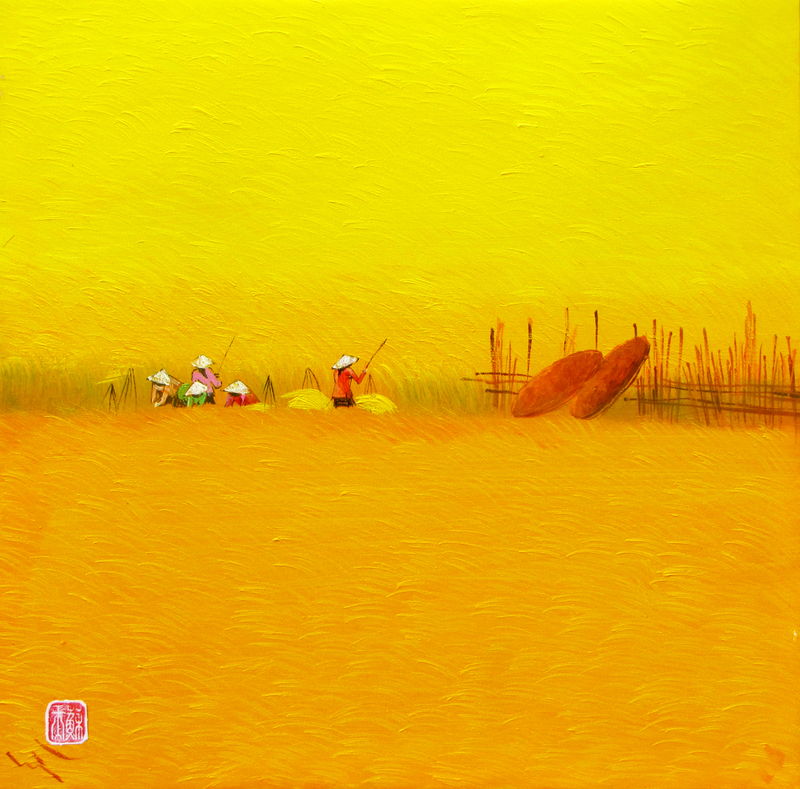 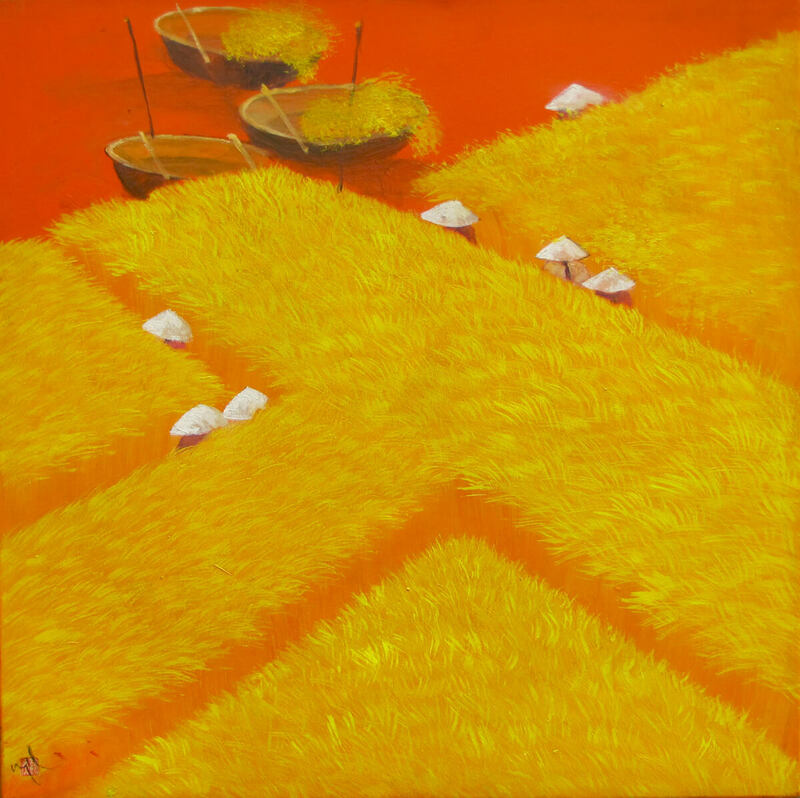 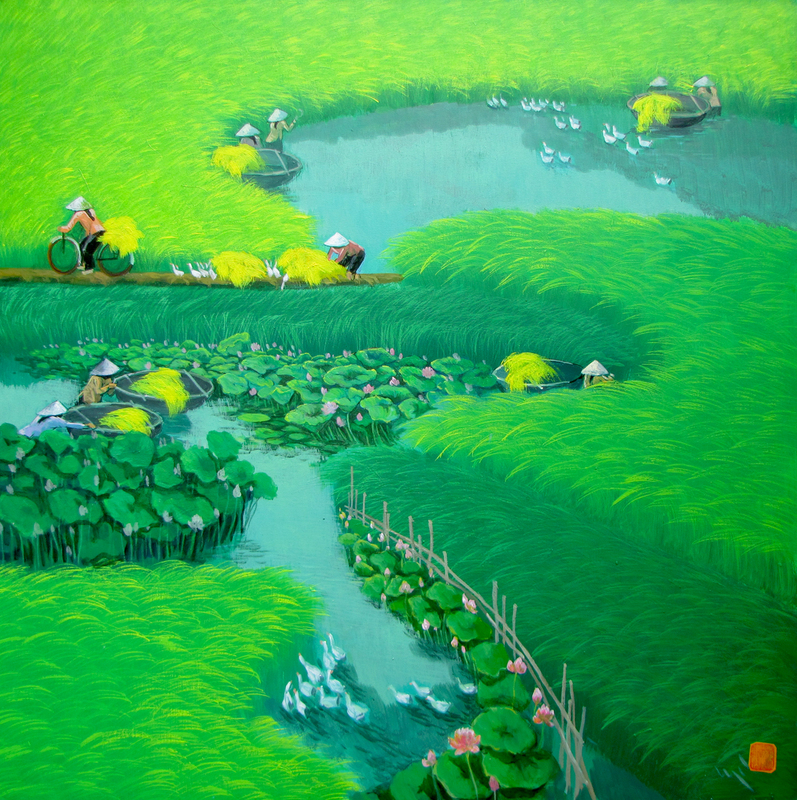 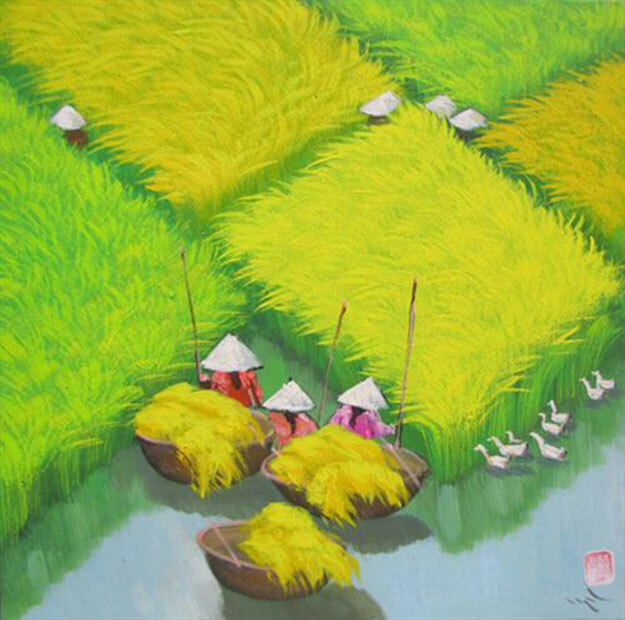 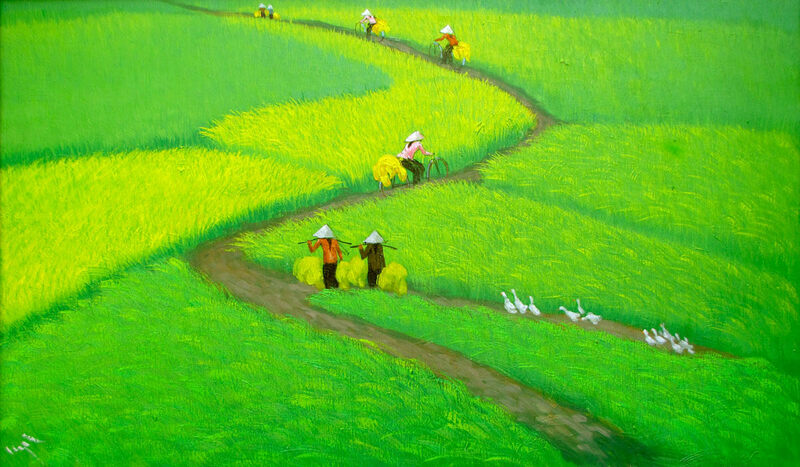 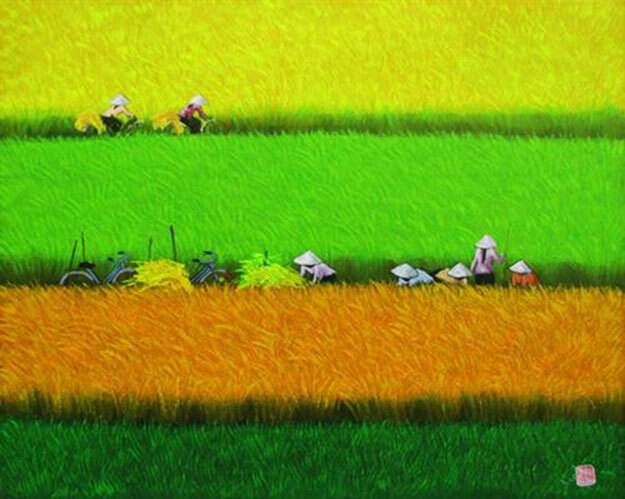 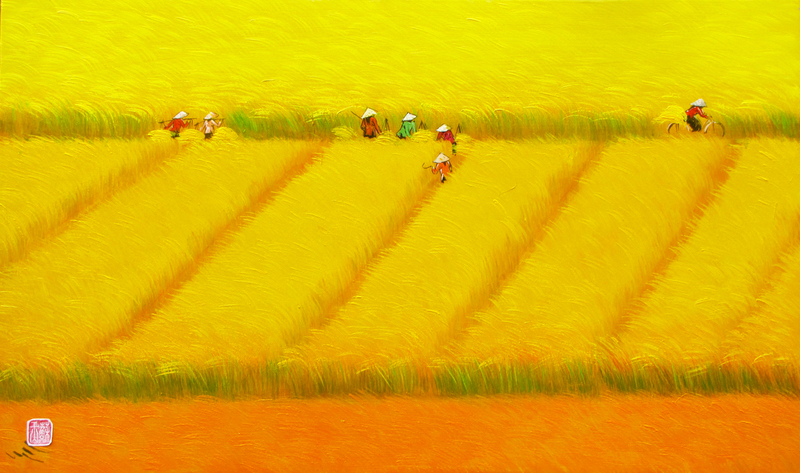 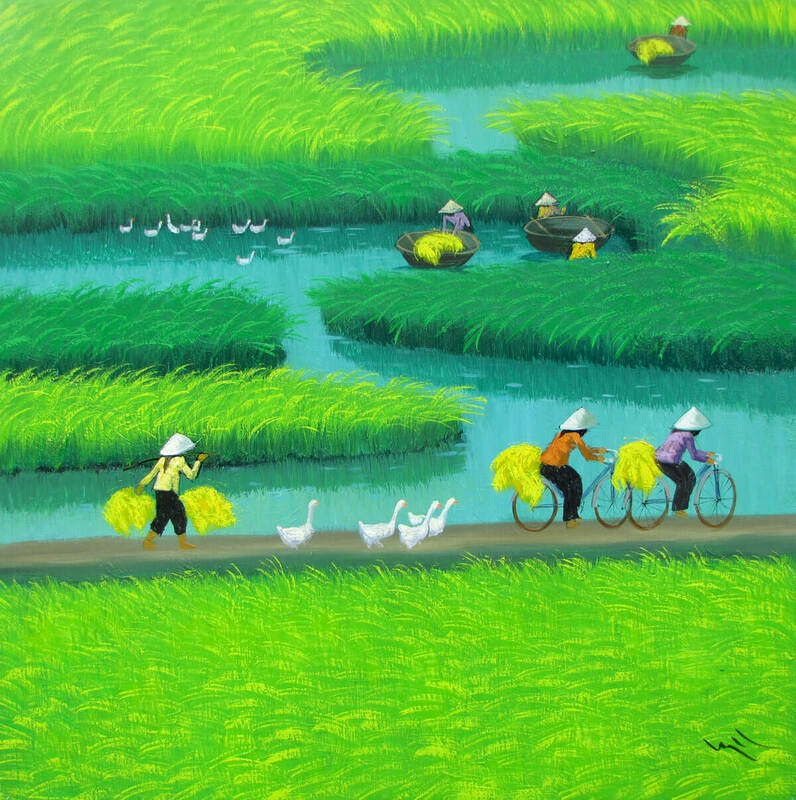 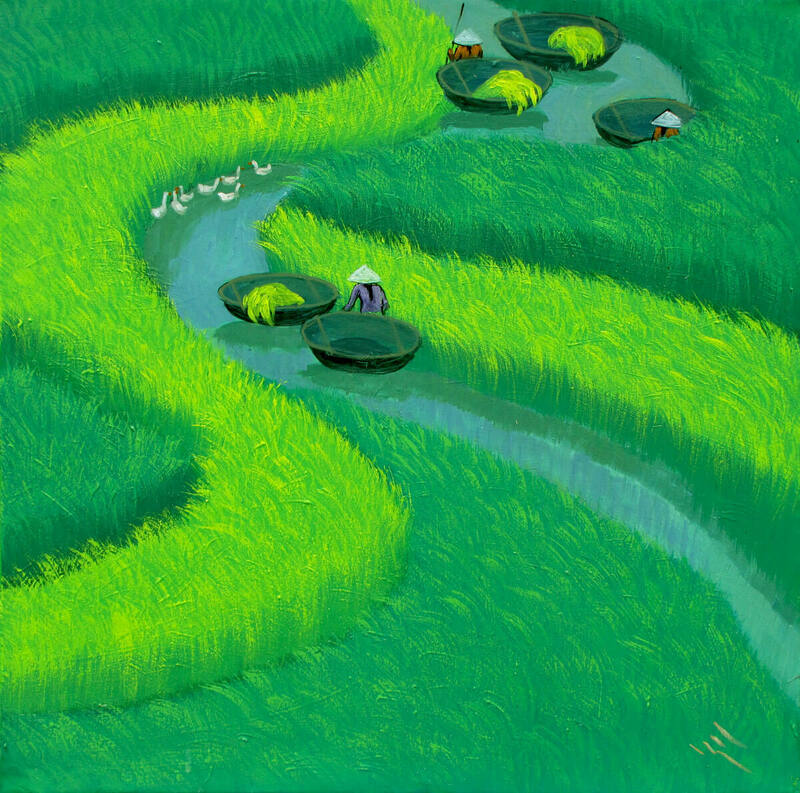 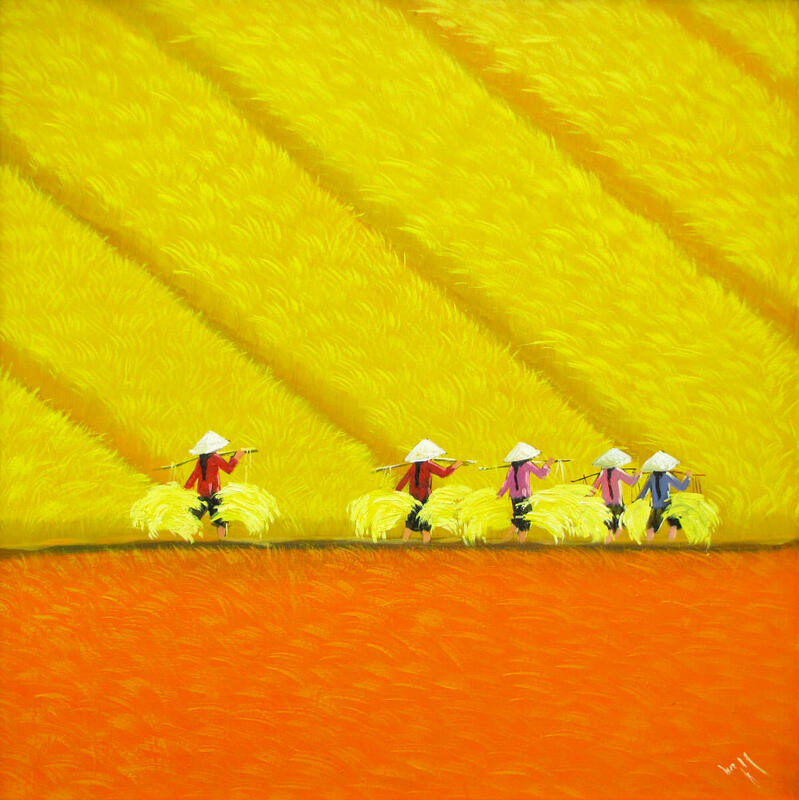 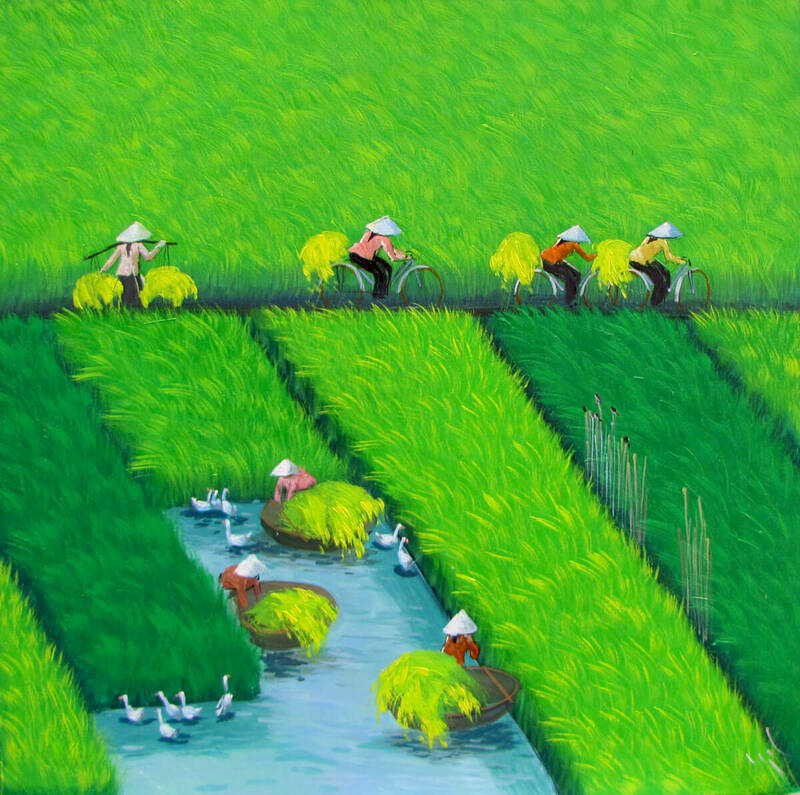 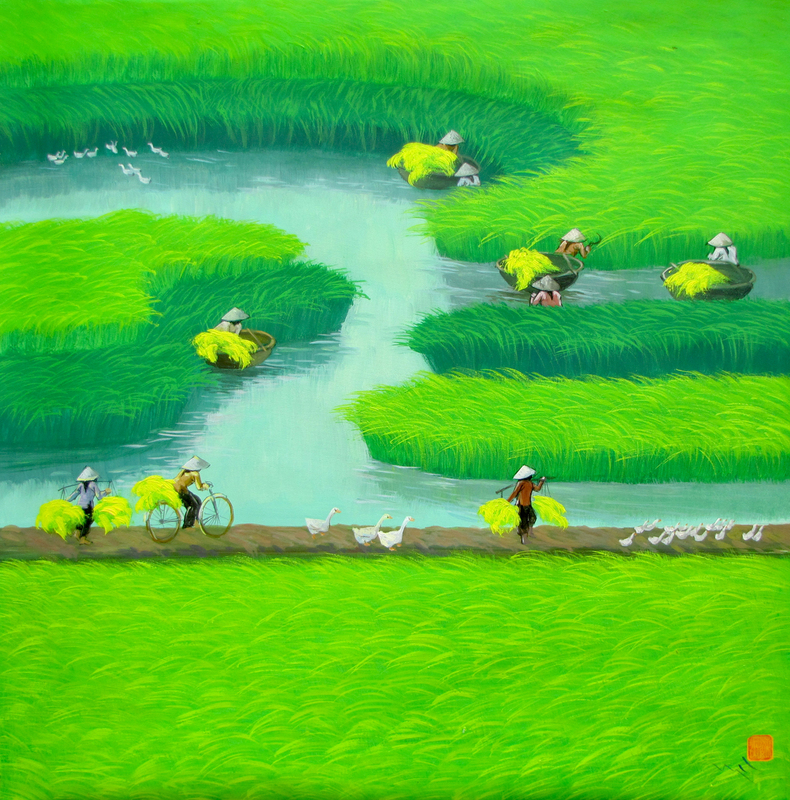 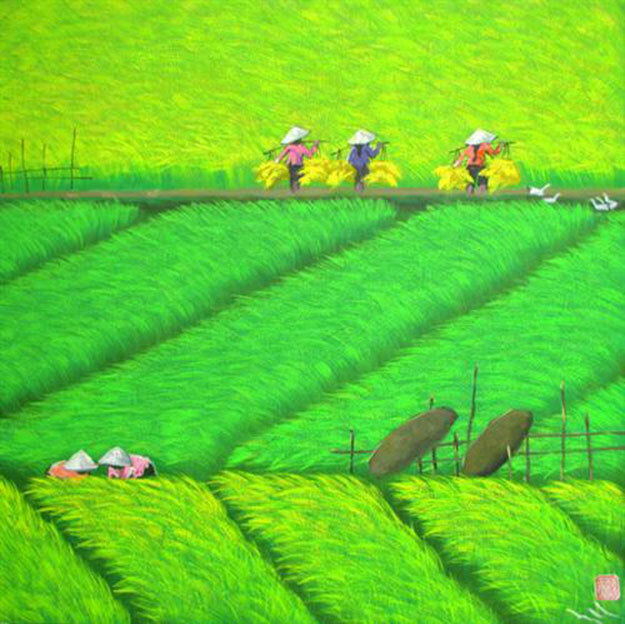 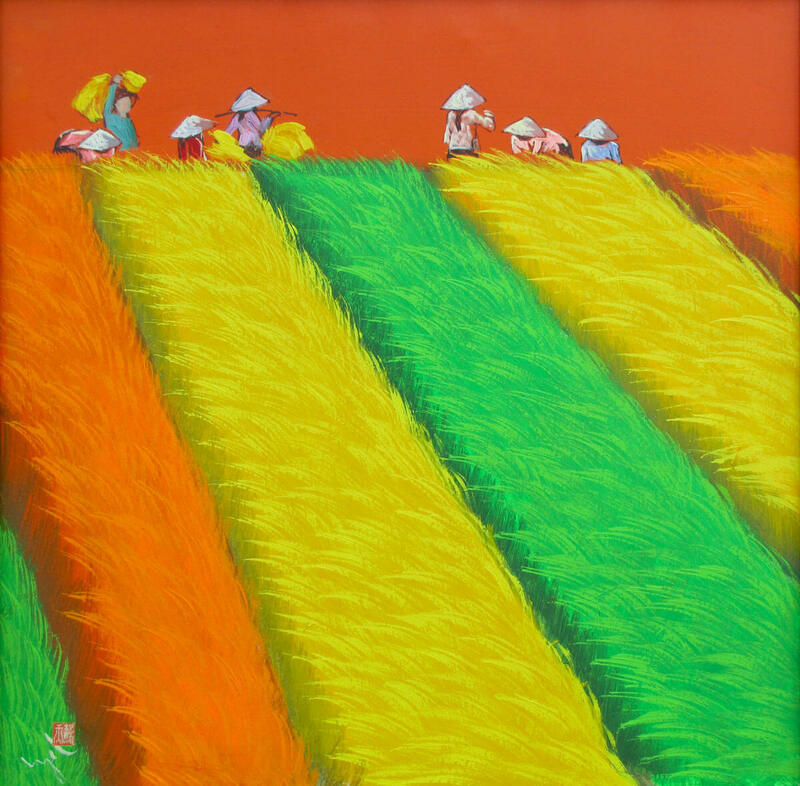 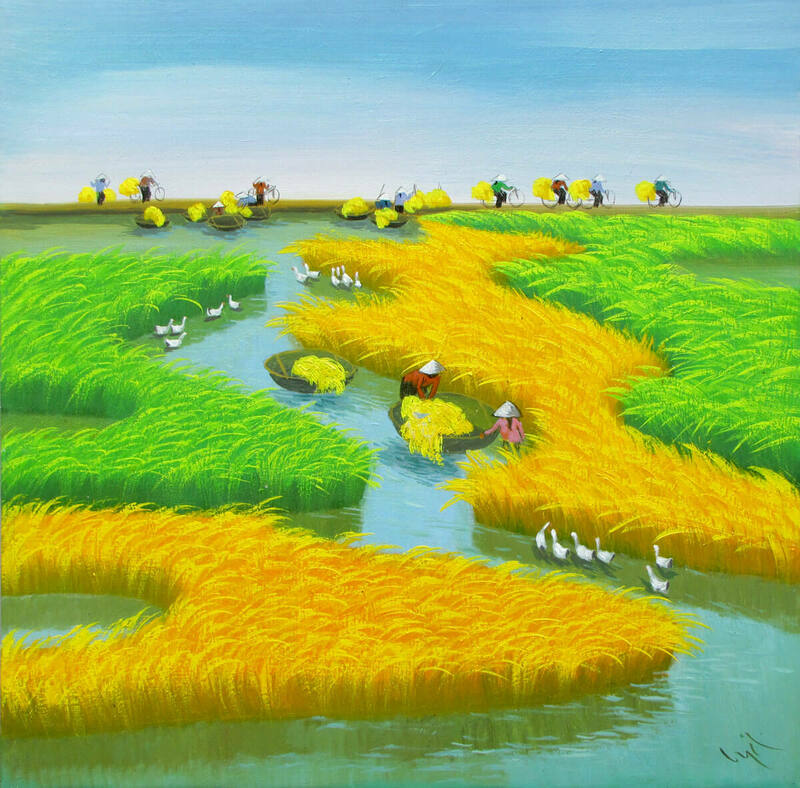 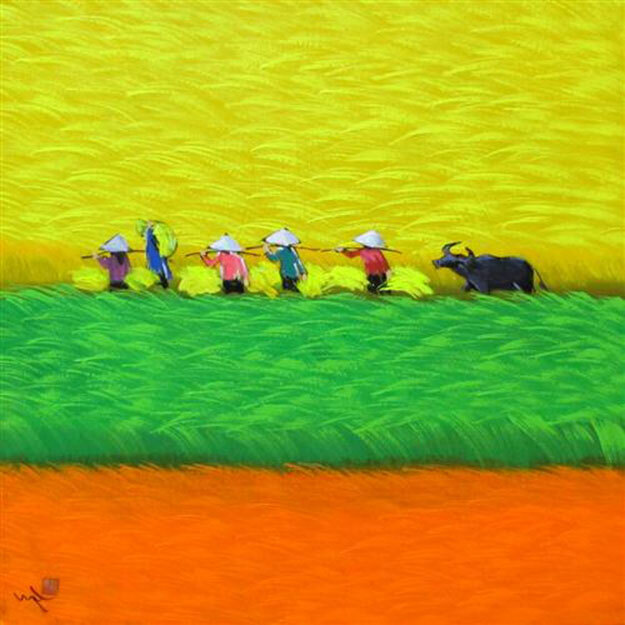 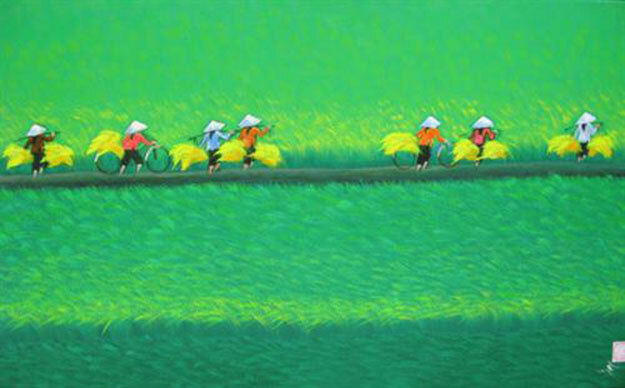 To Ngoc confided: “I paint my life, my family and my neighbors, and the fields, pond-sides and rows of bamboo. 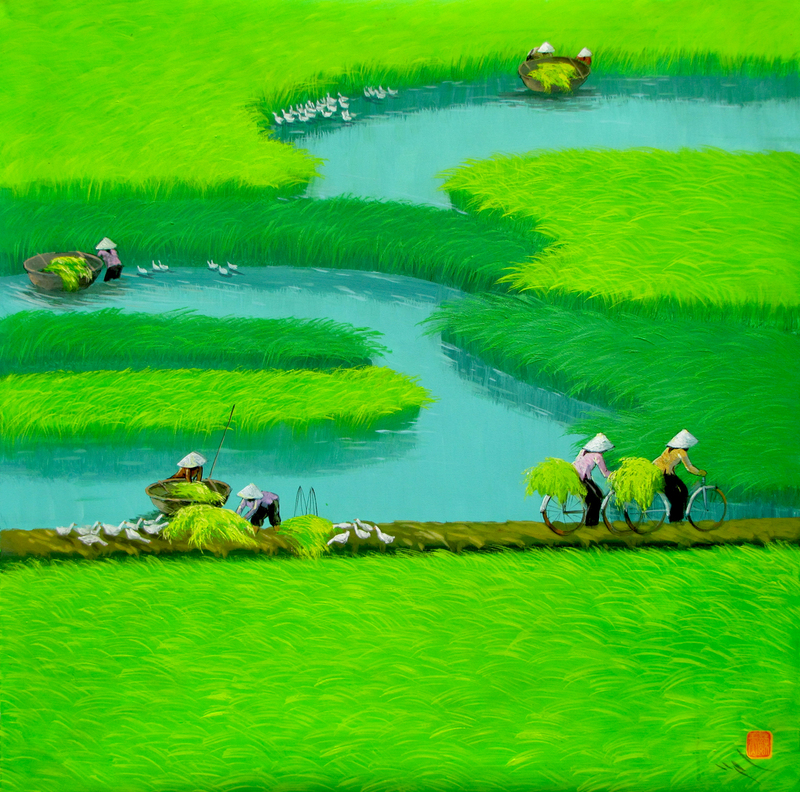 Everything is mine” It is too much for an artist to be his own self, to be present and evident as everything around him. 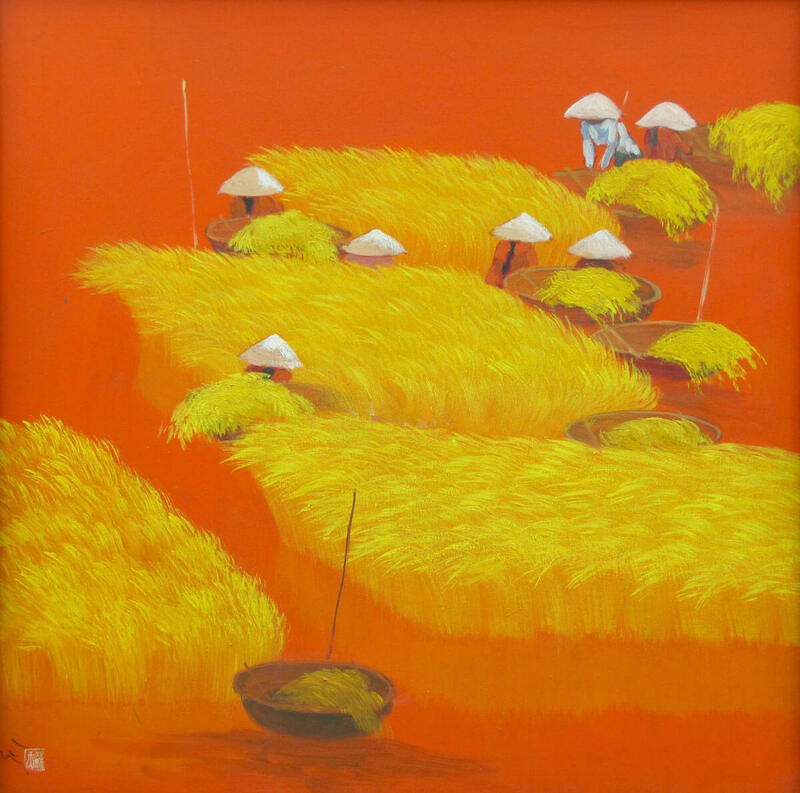 1992, 1994, 1995, 1996, 1999, 2000: Exhibition in Hanoi. 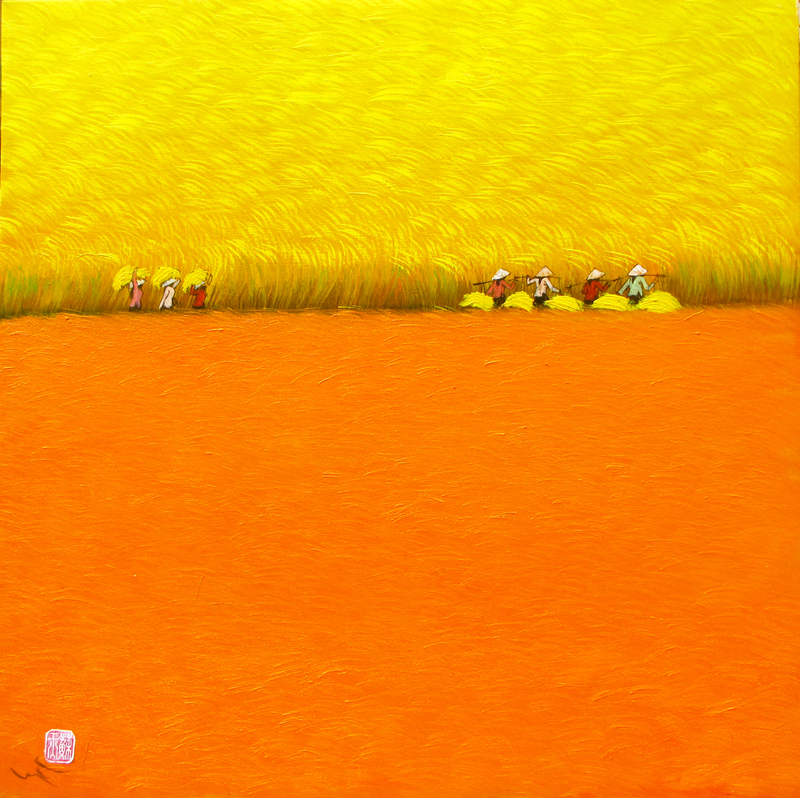 2000: Group Exhibition in Belgium. 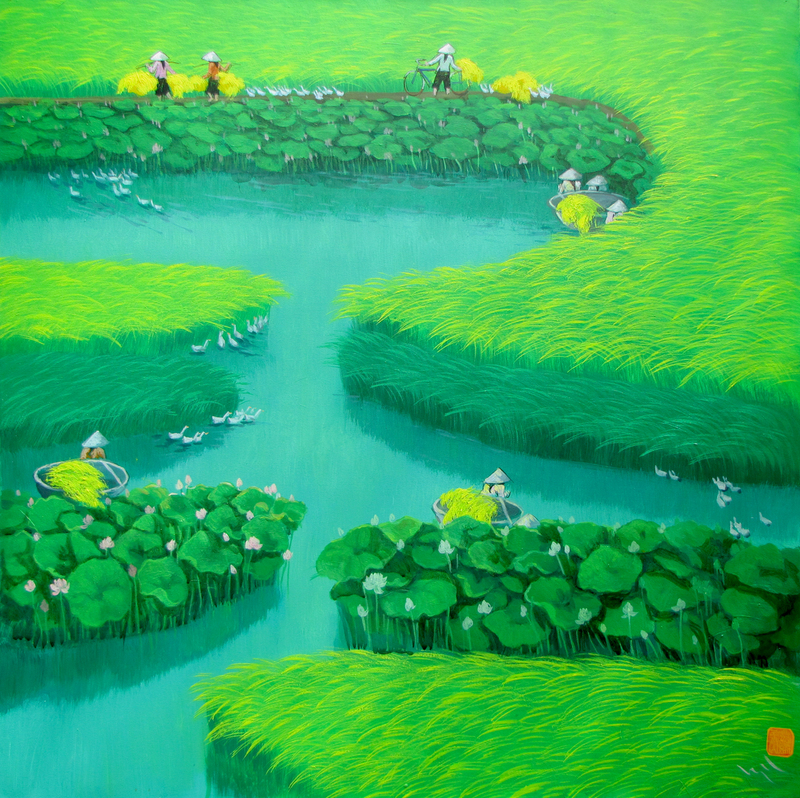 2006: Group Exhibition in Hong Kong.